This fun collection of wall decals features a childlike design & bright cheery colors kids will adore. It comes with cars, trucks, trees & signs to help fill out the scene. 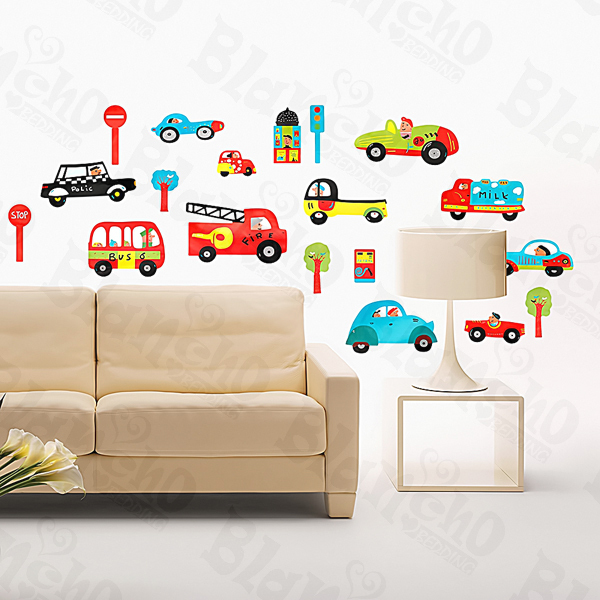 Cars & Signs Large Wall Decals For KidsBuy It!